Have you ever imagined a day in your life without electricity? Without being able to brew your morning coffee, charge your portable devices or cool your room in the hot summer? Pretty scary, already, isn’t it? To think of it, this is just the beginning. If one were to list all the things they need electricity for, in a single hour, you would end up with a pretty long list. What you might not have realized, though, is that a lot of times, your devices are left without power supply, but two magic words keep you from realizing this: power backup. It wouldn’t be surprising if you took a while to get this one right. Power generators, are very often the silent heroes of your power supply system. When the power goes out, they rumble and roar to life, hidden somewhere away in a corner or a basement, and make sure your appliances keep going, and life goes on, uninterrupted. Guess that makes them pretty essential, doesn’t it? Which means you should be able to go buy a power generator just as easily as you bought your refrigerator or your personal computer, right? This is easier said than done, unfortunately. 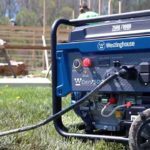 With hundreds of power generators crowding the market, and their often confusing features and tech specifications, buying a power generator online can mean navigating a labyrinth of endless choices, with very little help. 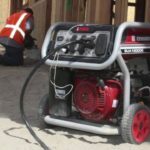 From basic ones that start at a few hundred dollars to their heavy-duty counterparts that cost thousands, power generators come in all kinds of shapes and sizes, with different functions and features. There is also the matter of purpose – knowing exactly what you need a power generator for is also equally important. 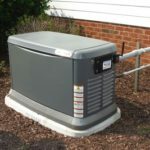 After all, a power generator is not a small piece of equipment – make the wrong choice, and you could end up with an inconvenient, inefficient, bulky product that will only occupy space in your backyard and still give you a hard time when the power goes out. So how do you pick a power generator, then? What do the dozens of features really mean? Below is a guide that will hopefully, answer all the questions you may have, along with information on some high-quality power generators, and quick reviews on each of them. So read on, and by the time you’re done, you’ll be a big step closer to buying your new power generator. 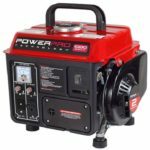 For those looking for a small, low-budget, basic power generator, this model from Sportsman is a great option. Its compact shape and size conveniently lets you move from one space to another. Probably one of the few cost-effective generators to offer two different kinds of outlets, this is a great buy, perfect for a kitchen or a small apartment. 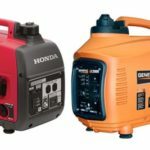 Probably the most value-for-money generator on this list, this power generator is indeed generous for the number of outlets it comes with. What does this mean for you as a user? More appliances running during a power cut, more comfort and greater flexibility. While this is the gasoline-powered version, Sportsman also makes dual fuelled as well as a propane-only version of the same, which is also reviewed on this list. This is the propane-fueled version of the Sportsman GEN4000LP, albeit a slightly lower one, which comes with a propane fuel hose and regulator included with the product. However, while its engine and wattage are similar to its gasoline-powered and dual-fuel counterparts, it definitely scores slightly lower on the value-for-money scale, since it only comes with two basic outlets, and also does not come with a propane tank, which may mean extra expenditure for some. As mentioned earlier, this is the dual fuel version of the ‘generous’ generator – aptly named so because of the increased compatibility it offers, in terms of the number of appliances it can power at once. 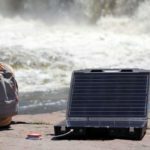 Packed with the same fantastic features as its gasoline-powered version, this power generator can be fueled using either gasoline or propane, only making this a much more flexible option. With this heavy-duty power generator, Sportsman brings you an absolute powerhouse that can be practically used to power anything. Be it huge office spaces, big homes, a large-scale industrial machine or a whole group of camping trailers, this generator will give you hours and hours of reliable, stable power supply, producing as much as 7500 watts power at its peak. Its one-touch electric-start is only an added convenience – making it absolutely easy to start and operate. If it is heavy-duty power you’re after, then this is the power generator for you. What do you want your power generator to do for you? Are you buying one for your office that sits a team of 50? Or maybe you live in a neighborhood that is prone to frequent power cuts, and you want to make sure your basic appliances keep running, power or no power. 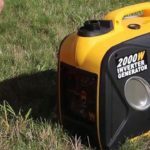 Depending on whether you need a power generator for home or office, or for outdoor things like camping or tailgating, you will want to prioritize certain features over others. For instance, you may want to look for an easy-to-transport, compact piece if you’re particularly looking to use it for the outdoors, but the number of outlets may matter more if you need to connect multiple kitchen appliances. Next on the list of power generator basics, are your power requirements. Depending on the space and purpose, you’ll need to determine how much electricity you will use. Don’t let this baffle you – simply count the number of appliances you will need running even during a power cut, and find out the wattage that each of them uses. Make sure you factor in each appliance that will need to run during a power cut from lights, fans, air-conditioners to power adapters and kitchen appliances. While figuring out the total wattage of all your appliances, there’s one thing to remember: the starting and continuous wattage requirements for the same equipment can be very different from each other. In fact, some appliances may need a starting wattage that is nearly thrice as high as continuous wattage that they need. Now that you have figured out how many appliances you need running, let’s move on to power outlets. 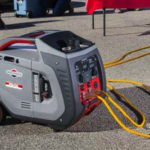 Basic generators usually have one or two standard outlets, but some generators, despite being entry-level, offer different outlets so you can be more flexible with which appliances you can power. You might realise that there are some appliances or gadgets that you absolutely must keep running even when there’s a power cut, for example, your home or office Wi-Fi, security systems, or basic lighting and temperature control systems. Finally, the last and most important factor – your budget. Once you have estimated all your wattage, appliance and outlet needs, decide on a budget – that way, you won’t end up overspending, otherwise it is easy to burn a big hole in your pocket. In return, you may end up with some impressive but probably unnecessary features on your power generator. Having a well-planned, realistic budget will make sure you know exactly what you are looking for, and that you get the most value for your money. As promised, it doesn’t stop with buying tips – below are 5 quality products from Sportsman, that cover a wide range of fuel, wattage, outlet and compatibility options between them. While their wattage and dimensions may differ, one great feature that they all come with is stable, regulated power supply all throughout, which means sensitive devices such as laptops, tablets and cellphones are secured against any damage caused by voltage fluctuation. This is obviously an extremely important feature to look out for in any power generator, because the last thing you want is to sustain damage to your devices at the cost of keeping them running during a power cut. Ideally, a carefully-chosen power generator will go a long way – if it is sturdy enough and you look after it well, it should last you for many years to come. 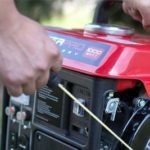 This means checking for low oil levels and refilling your generator regularly to avoid wear and tear that often occurs because of low oil levels. A good generator has to be dependable, reliable and trustworthy, so that you’re prepared to battle any power cut, no matter how long it lasts. Think of it like you would think of someone looking after your home. With this, you’re all set to buy a reliable, efficient and value-for-money power generator for your house, office or outdoor space. 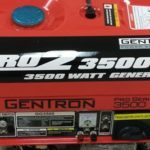 While purchasing a power generator may sometimes seem like a daunting process, it really is a matter of keeping your eyes open and doing some research before, as with any investment you might make. With the right choice, even constant power cuts won’t come between your work, comfort and you, and it’ll be smooth (and safe) sailing, for both you and your electronic devices.